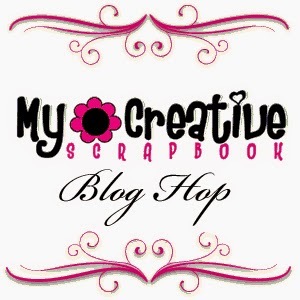 Treasuring Memories: My Creative Scrapbook March Kit Reveal Blog Hop! 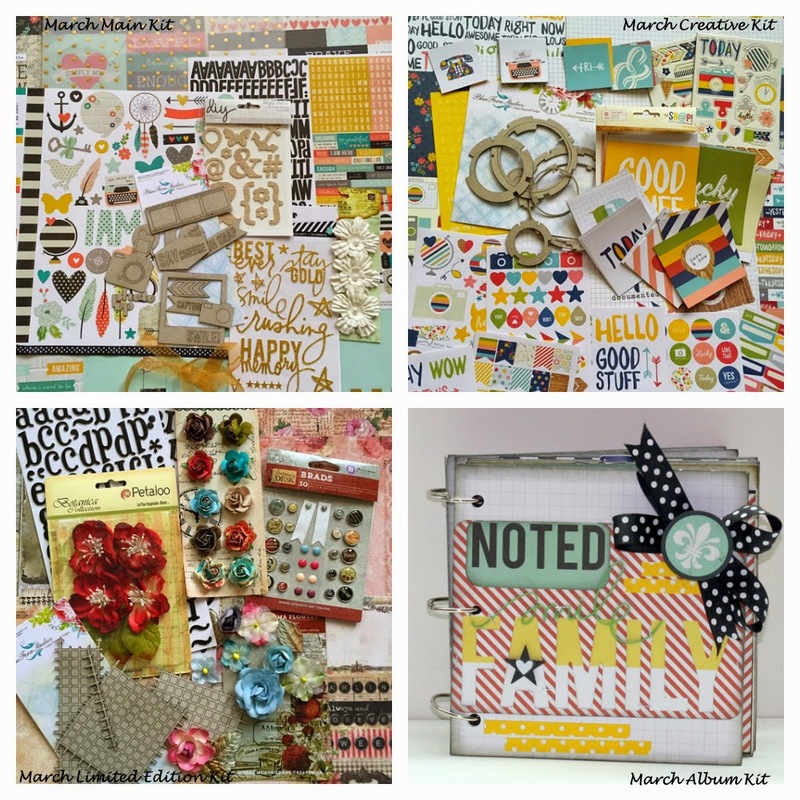 My Creative Scrapbook is thrilled to celebrate the reveal of our beautiful March kits with an inspiration-filled blog hop complete with beautiful PRIZES! 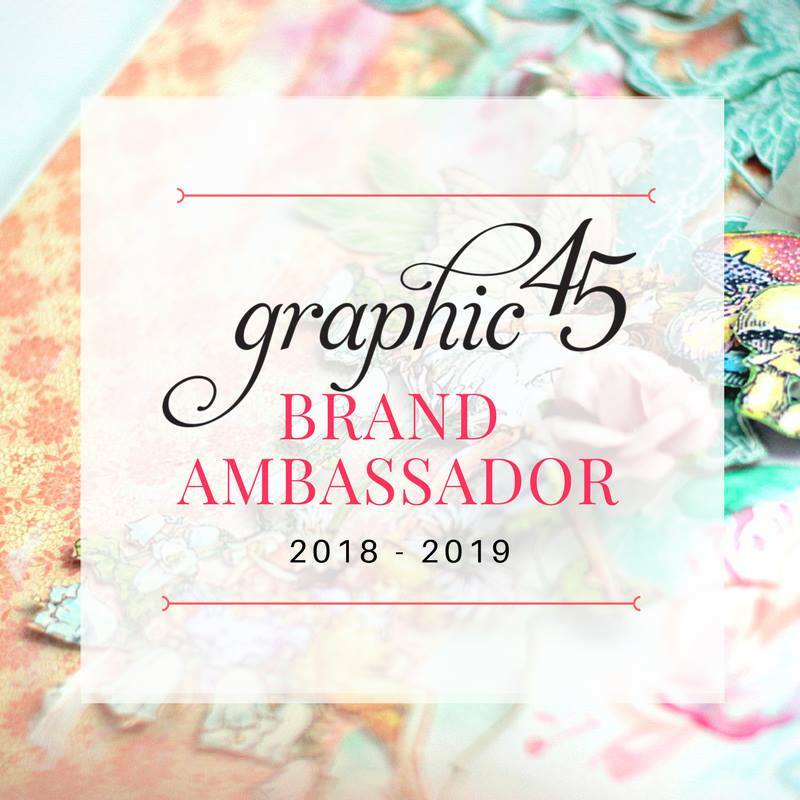 The design team has prepared a spectacular assortment of projects for you, so be sure to visit each blog to soak up all of the inspiration. 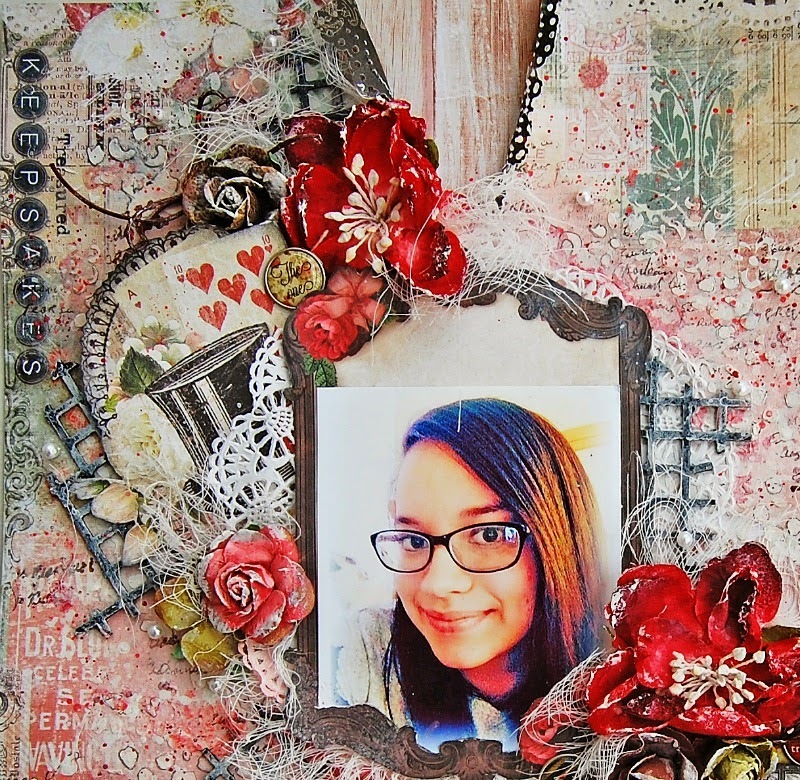 My first page is about my dear daughter Paola and her "selfie". 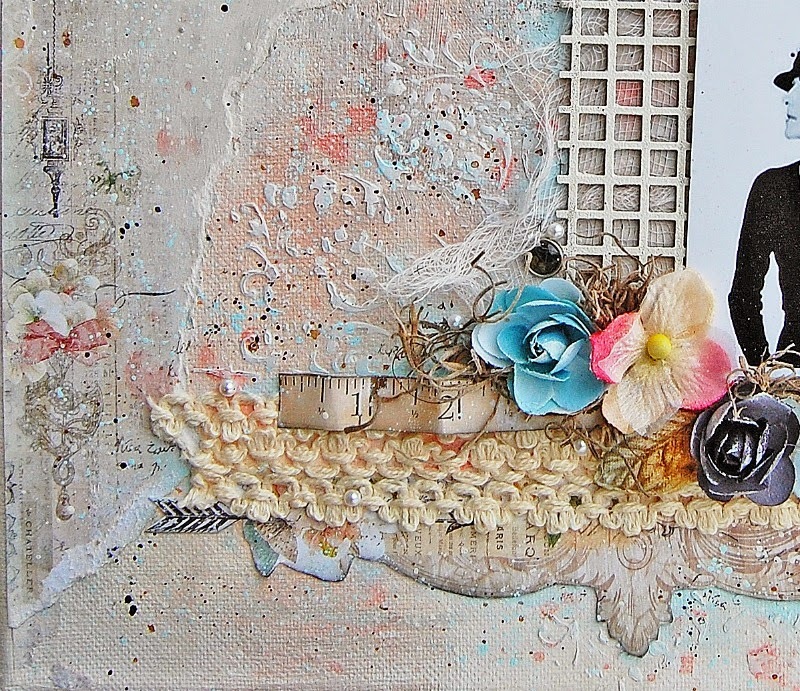 I mixed three different papers and played with the beautiful flowers, brads, chipboards from the kit. I made a video tutorial of this page. I made some fussy cutting with two of the papers and painted the Blue Fern chipboards with black Chalkboard paint by Prima. 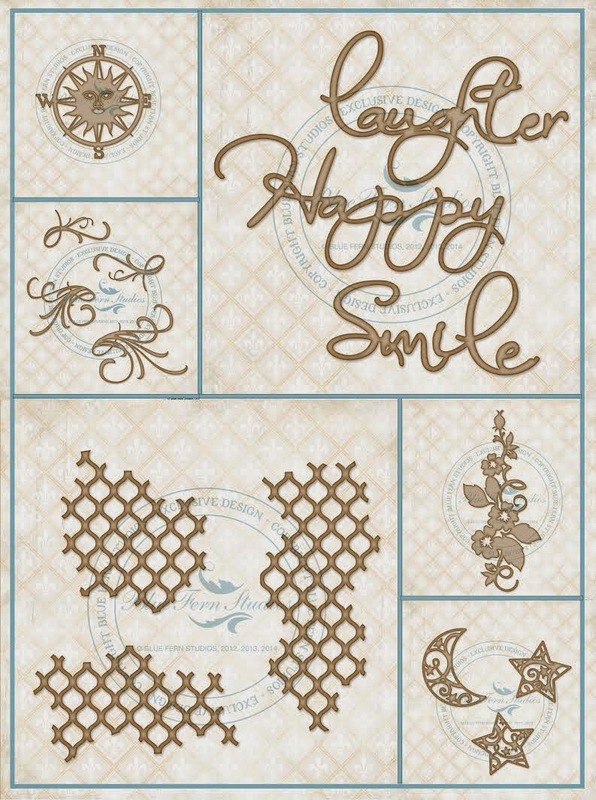 The kit includes resins words and I used one for my title "Smile". My second page is about my lovely niece Azalia in her graduation. 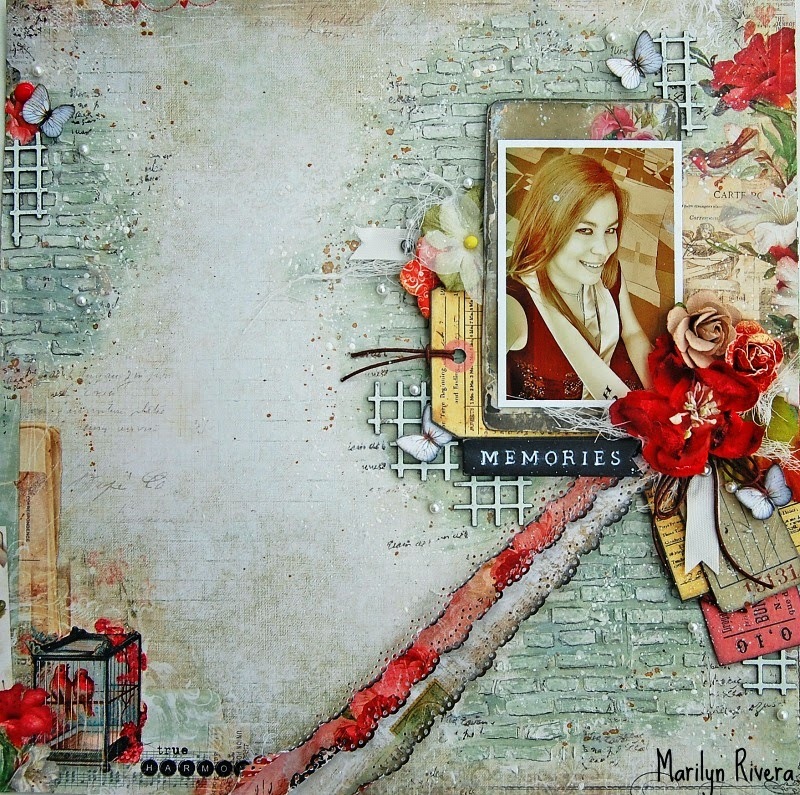 I mixed "Love Story" by Blue Fern papers with the "Garment District" collection by Marion Smith in this page. 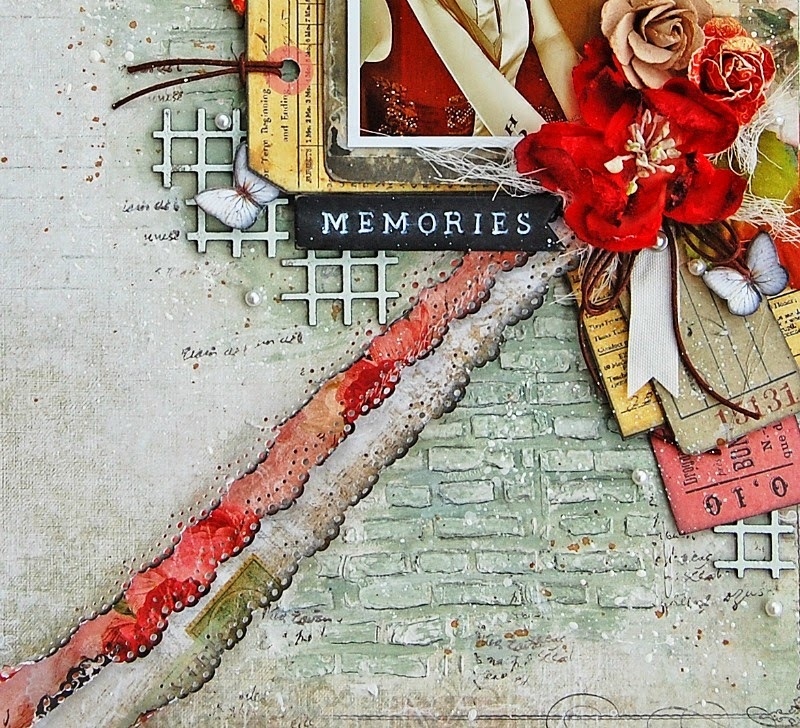 I made the brick effect with a Prima stencil and molding paste and cut out these tags from the Garment District papers. I was inspired by Coco Chanel's quote to create this canvas. 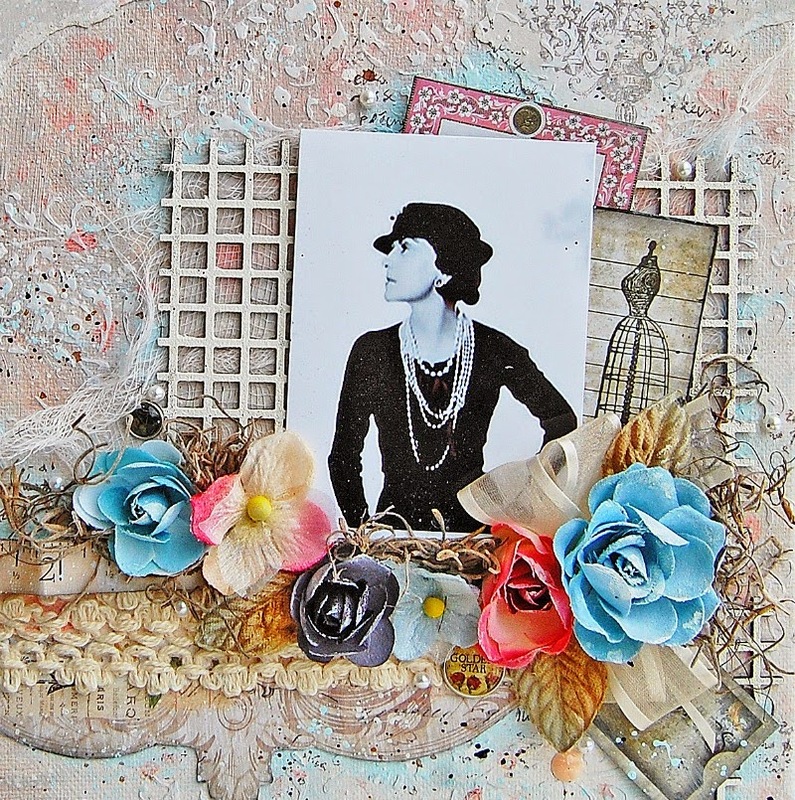 And again I mixed paper from Blue Fern and Marion Smith with stencils, molding paste, mediums, Color Blooms and acrylic paints. This pretty trimming comes in the kit. 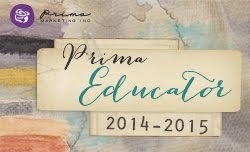 Flowers and brads from Prima Marketing. 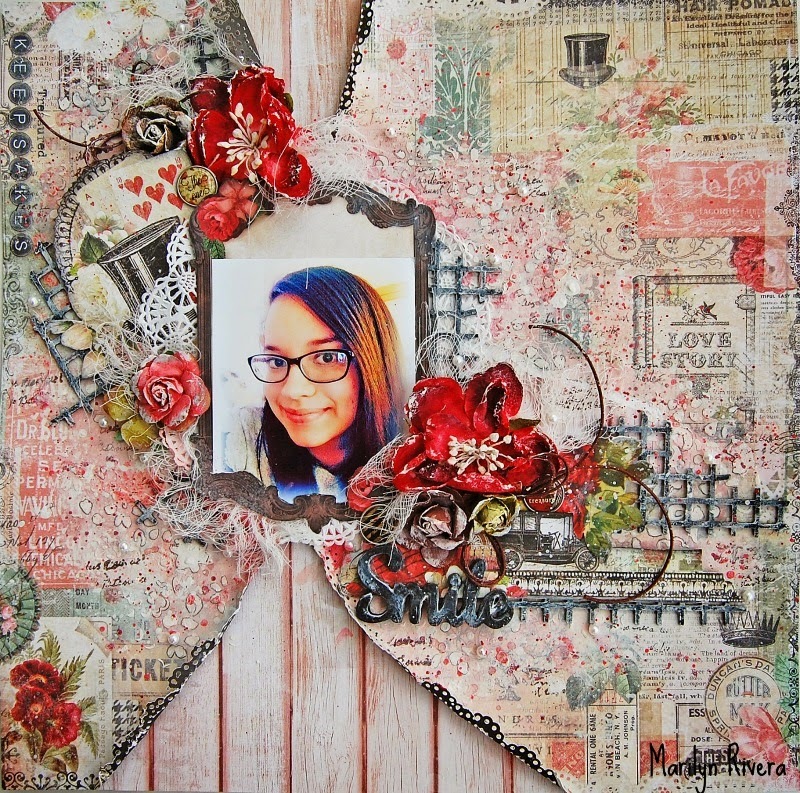 The next stop on the blog hop is Mariusz Gierszewski: http://scrapkiart.blogspot.com/'s blog. 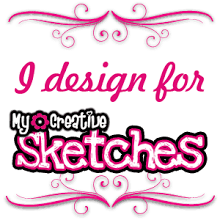 Your pages and canvas are awesome, Marilyn. 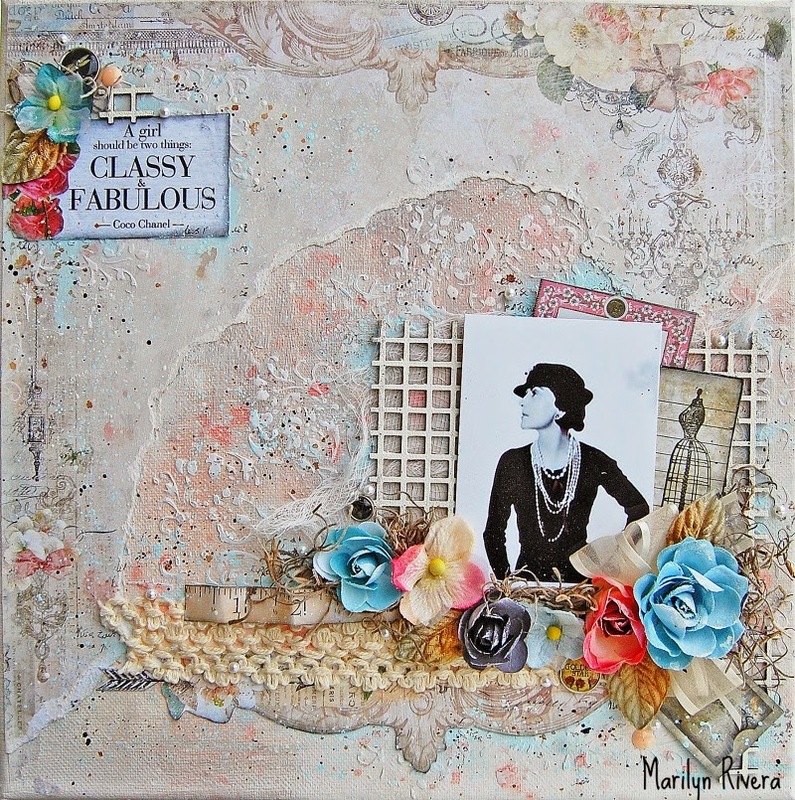 You did a fabulous job with this kit, Marilyn! Thanks for sharing your talent and projects. Lots of thought and work go into your layouts. Very classy!! Lots of texture is my favorite thing. So pretty! 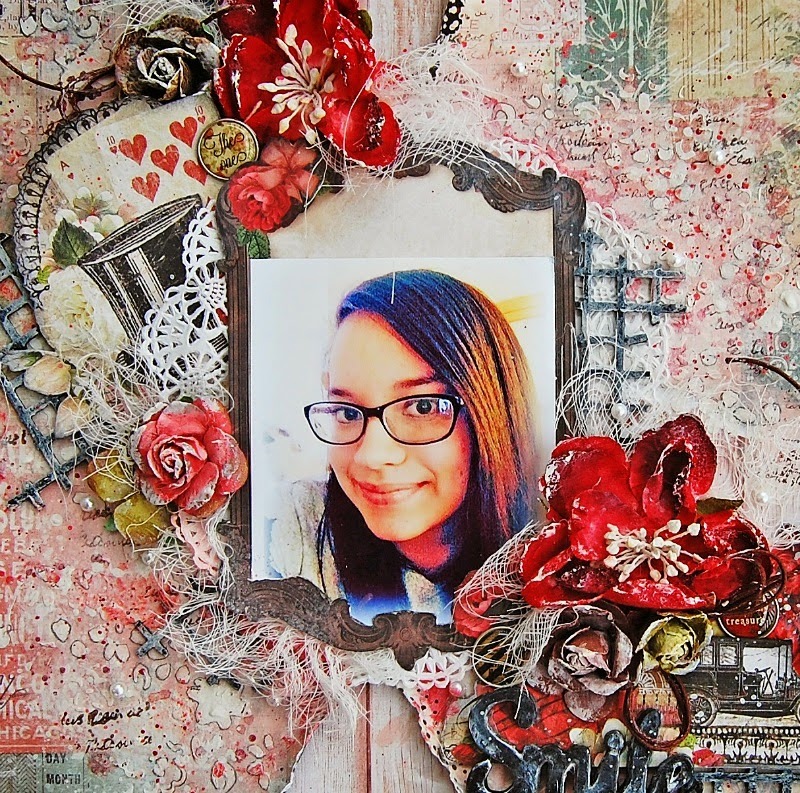 You did a good job of adding a lot of texture to your layouts! Your work is just breath-taking and gorgeous. and pour over each and every inch of the page. Truly stunning in every way. SO INSPIRING! Always love your stunning pages Marilyn! Thanks for the inspiration! Ever month I think your work is so amazing and it can't get any better but it does!! You are a very talented artist! 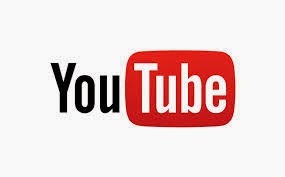 I really appreciate your step by step videos!! I have learned so much from them!! Thanks for creating such stunning art with the MCS kits!! 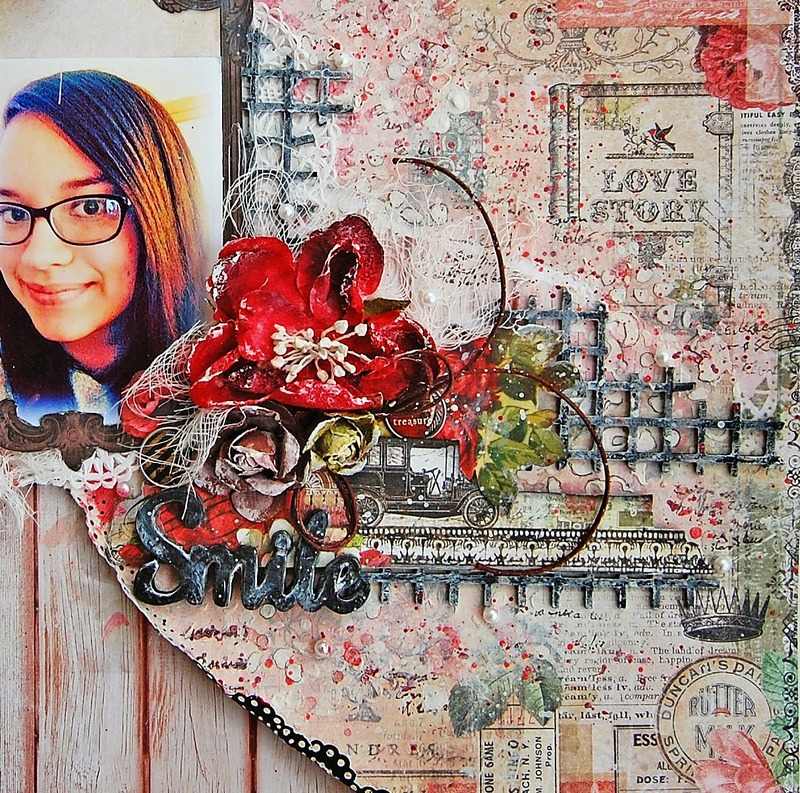 Beautiful layouts, love all the color and texture. 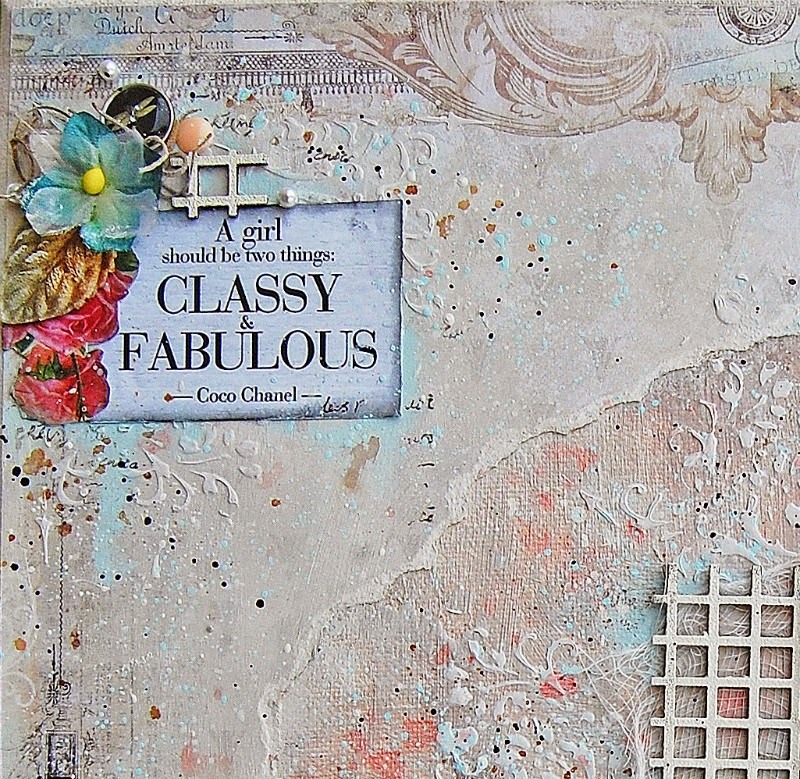 I agree, a gal should be both classy and fabulous just like your layouts! So many awesome creations with this kit! 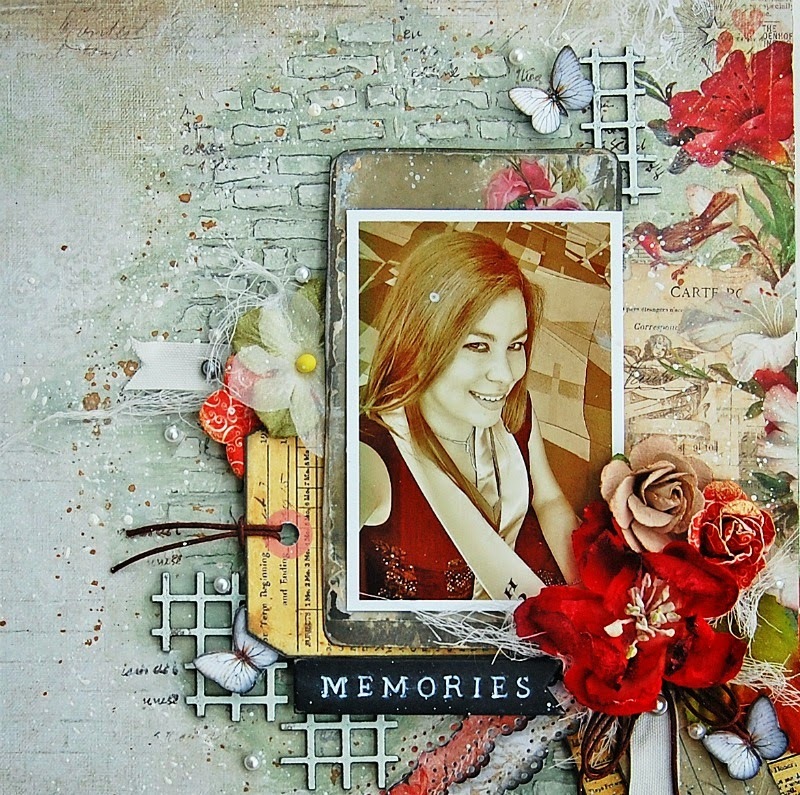 Your layouts are like individual pieces of art; stunning! Such artistic work. Thank you for sharing your talent! Each new blog is so different but beautiful. There is so much variety and each one is so unique. I love seeing so many "views". Your layouts are beautiful. Your work is always one of my favorites. You have such a lovely, romantic style. They are works of art. 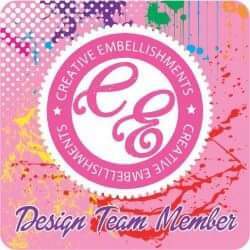 That's a fabulous kit and your projects are stunning! My favorite is the second one, Memories. Totally gorgeous!! I love your layouts, there are stunning! Beautiful layouts. the flowers pick up the highlights in the girl's hair in the first page. Super cute layouts! I love the textures. Great pages, I like the feeling in Canvas, thank you!